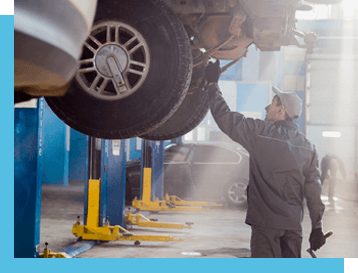 Bring your vehicle to API Auto Repair in Elkridge, MD for our total car care services. Our ASE Certified technicians know how to keep you and your vehicle on the road. It takes the well-trained hands and eyes performing a wide range of maintenance services at the appropriate time. Many vehicle owners set aside money for emergency auto repairs and breakdowns. We believe in avoiding repair needs altogether. Our preventative maintenance services keep you ahead of any costly repairs. We use state-of-the-art tools and equipment to accurately diagnose your vehicle. Avoid misdiagnoses and unnecessary repairs by coming to API Auto Repair. You can trust our technicians to save you time, money, and a whole lot of stress. Our top quality service plans make sure your vehicle stays in excellent condition. We provide a complete list of maintenance services that will enhance your vehicle’s overall performance, including check engine light diagnosis, tune-ups, lube services, engine diagnostics, filter changes, and more. Not only does our Elkridge auto shop care for your personal automobile, but we also provide affordable fleet services. The most important scheduled maintenance is the oil change. It protects the engine from overworking, overheating, and friction. Keep your vehicle on the appropriate oil change schedule which is determined by your vehicle’s age, your driving habits, and the manufacturer’s recommendations. 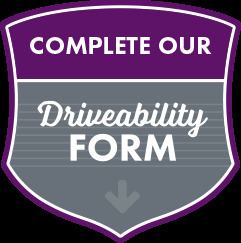 Our technicians will design a service plan specifically for your vehicle. This should make sure you avoid repairs, but normal wear-and-tear can still lead to a repair need. API Auto Repair is the preferred service destination in Elkridge. You can expect the same level of expertise as the dealerships when you come to our shop. We treat our customers like family and their vehicles like our own. Our quotes for auto service are reasonable and you’re more than just a number at API. Bring your vehicle to us for any minor or major engine repairs, including engine rebuilds and replacements. If you notice performance issues from your transmission, braking system, steering and suspension, battery, exhaust system, and much more, come to API Auto Repair to get your repairs right the first time! Our team is here to provide top-of-the-line auto repairs for your vehicle. Protect your safe road travel by trusting your vehicle’s services to our highly qualified technicians. You have nothing to worry about when you choose API because we guarantee our auto repairs with a 12 Month / 12,000 Mile warranty on all parts and labor. We stand confidently behind all of our auto repairs and maintenance services so you can be confident every time you drive away from our facility. Give us a call today at our Elkridge location–410-579-8422–to schedule your next auto repair or maintenance service appointment. Next time you’re in the area–6347 Macaw Court–feel free to stop by with any questions, concerns or service needs. You can also save time by using our convenient online scheduling system to schedule your appointment. We gladly accept all of our walk-ins! Elkridge Fleet Service Elkridge Check Engine Light Bel Air Services How Can We Help You?